Where does consciousness come from? For most scientists and laypeople, it is axiomatic that something in the substance of the brain — neurons, synapses and gray matter in just the right combination — create perception, self-awareness, and intentionality. Yet despite decades of neurological research, that "something" — the mechanism by which this process is said to occur — has remained frustratingly elusive. This is no accident, as the authors of this book argue, given that the evidence increasingly points to a startling fact: consciousness may not, in fact, reside in the brain at all. In this wide-ranging and deeply scientific book, Imants Barušs and Julia Mossbridge utilize findings from special relativity and quantum mechanics, modern and ancient philosophers, and paranormal psychology to build a rigorous, detailed investigation into the origins and nature of human consciousness. Along the way, they examine the scientific literature on concepts including mediumship, out-of-body and near-death experiences, telekinesis, "apparent" versus "deep time," and mind-to-mind communication, and introduce eye-opening ideas about our shared reality. The result is a revelatory tour of the "post-materialist" world — and a roadmap for consciousness research in the twenty-first century. Transcendent Mind is a landmark text in the history of western psychology. It is perhaps the first postmaterialist psychology textbook of the 21st century. It offers a rational analysis of theories of consciousness and a rigorous discussion of essentially all the data collected in western science that speak to the possibility of shared mind, and mind without brain. It is data-driven yet open-minded and scholarly, yet accessible. It should be required reading for a new generation of consciousness investigators. Few people on the planet can match Imants Barušs and Julia Mossbridge in their familiarity with and understanding of the relevant research and in their perspective to put that research into context. Transcendent Mind stands out among other books on consciousness in its consideration of all the data both for and against various interpretations, and in its rigorous scientific thinking about mind–body interactions. Here is a breath of clean fresh air for the serious explorer of consciousness. I've waited my whole career for such a book, given to us now by two of the foremost researchers in the field. Should be compulsory reading for every student of parapsychology, the paranormal, spirituality and life itself. The authors have done a magnificent job translating scientific research to make a compelling case for consciousness separate from the brain. They are both highly respected in their field and this book is destined to become an important one for generations of students to come. Shame about the price but for the amount of golden research collated and articulated in there it is worth every penny. Simply brilliant. I cannot rate this book highly enough! This is simply the most intelligent consideration of this topic in print. The meticulous research, honesty even when it is not in favor of the hypothesis, collection of data, and the absolutely brilliant offering of multiple interpretations of data is unsurpassed. Once upon a time, not so long ago, there was a kingdom called Science whose citizens were guided by a uniform belief — that their consciousness is produced by the chemistry, physiology, and anatomy of the physical brain. Forfeited in this belief was the capacity for free will, as well as any higher meaning and purpose to existence. The possibility that consciousness might survive the physical death of the brain and body was considered heretical and blasphemous. Enormous pressure was exerted on the guardians of science to conform to the concept of materialism undergirding this precious belief system. In support of these beliefs, the centurions of science marshaled enormous bodies of data that, they were convinced, confirmed their views. They were so emphatic in their position that data to the contrary were largely dismissed as irrelevant, and those who dared to challenge the materialistic perspective were often denigrated as traitors to the scientific tradition. But just when the materialistic perspective was considered beyond reproach and safe from significant challenge, there came this shocking announcement from two prominent consciousness researchers: “We are in the midst of a sea change. Receding from view is materialism, whereby physical phenomena are assumed to be primary and consciousness is regarded as secondary. Approaching our sights is a complete reversal of perspective. According to this alternative view, consciousness is primary and the physical is secondary. In other words, materialism is receding and giving way to ideas about reality in which consciousness plays a key role.” This is the opening salvo of Transcendent Mind: Rethinking the Science of Consciousness (page 3). I have introduced my comments about Transcendent Mind as a kind of fairy tale, a product of the imagination, because that is how this book may be regarded by those who have not followed the revelations of consciousness research for the past few decades. Across this period, a formidable body of data has accumulated that the materialistic credo is not merely off base in a few minor details, but is fundamentally flawed beyond repair. The trend toward this view is “quietly occurring within a swiftly evolving and increasingly postmaterialist paradigm,” the authors contend. The explanation of how this “sea change” has come about is the theme of Transcendent Mind. In their challenge to materialism, authors Barušs and Mossbridge contend that “the deep structures underlying our waking consciousness are fundamentally spatially and temporally nonlocal in nature (page 81).” The implications for our understanding of our own minds, and the practical ways in which we lead our lives, are enormous. If you are not intrigued by the evidence in Transcendent Mind, well, bear in mind the adage, “There is a principle which is a bar against all information, which is proof against all arguments and which cannot fail to keep a man in everlasting ignorance — that principle is contempt prior to investigation.” But if you are among those who are hesitant to adopt materialism as part of your personal credo, this erudite, reader-friendly book will perhaps fill in some of the blanks on your map of reality. You may discover not only empirical evidence for transcendent, shared mind, but for a transcendent reality as well. Transcendent mind es una obra excepcional en el catálogo de la American Psychological Association, la principal asociación que nuclea a los psicólogos americanos, escrita por dos psicólogos, Imants Barušs y Julia Mossbridge, quienes plantean un desafiante para la actual corriente psicológica: "El retroceso del materialismo, por el cual se supone que los fenómenos físicos son primarios y la conciencia es algo más secundario" -sostienen. Pero esta obra representa una subversión total a esta perspectiva. Según su posición, "la conciencia es primaria y la física secundaria." En otras palabras, el materialismo está retrocediendo y dando paso a ideas sobre la realidad en las que la conciencia juega un rol clave. El propósito de este libro es explorar lo que hace la conciencia cuando no asumimos automáticamente que ésta debe surgir de las operaciones de la materia. Baruss y Mossbridge examinan las investigaciones de los aspectos anómalos de la conciencia -como las experiencias cercanas a la muerte, las interacciones con seres desencarnados y la influencia mental directa sobre procesos físicos y examinan la naturaleza de la conciencia y su relación con los fenómenos físicos. In the times in which we live, every aspect of our lives as members of our civil society and as individuals is touched, colored, and largely controlled by the foundational world view held by the major scientific, academic,corporate, and political entities. And while this arrangement is normal enough, if the foundational world view is inadequate or flawed, everything that follows will have and perhaps magnify those inadequacies and flaws. This has been the case for a few centuries ever since science began to view the world through the lens of lifeless atoms. Reducing matter, even complex human beings into nothing more than "complex collections of molecules" makes it OK to depersonalize people, treat animals as industrial inputs, and treat our environmental resources as ours to exploit. The fly in this ointment is the chance that this world view is flawed; that consciousness is a fundamental force of existence; that we are all connected; that in the web of life everything affects everything else. For there to be a change from the prevailing world view, the change will have to come from the community of science, as that is where the foundation lays. And for that change to start, there has to be a set of first principles set down, there has to be and agreement on the definition of words and terms, and there has to be sufficient research all ready done, even if not widely recognized, that both refutes the current world view and lays a more or less clear path towards an imagined future, better world view. This is precisely what this book achieves. It is a foundational text in the path to this new world view. I cannot recommend it highly enough. "[This] book is an invaluable addition to the literature arguing that consciousness (however defined) plays a key role, and perhaps an essential role, in the construction of reality (however defined). It is radical, even at times outrageous, but it makes its case elegantly and (for many readers) persuasively." —Stanley Krippner, Journal of Scientific Exploration, 31(1), pp. 94–97. "I strongly recommend it to anyone involved with science or deeply interested in the nature of mind. "—Charles Tart, May 4, 2017 blog on http://blog.paradigm-sys.com/. "According to journalistic protocol, reviewers are expected to include some criticism to demonstrate their critical distancing and objectivity, since no book is perfect. I’ll break tradition, because my objections are trivial when compared to this book’s overall contribution. This is simply a flatout courageous, evidence-based, tightly reasoned document that no doubt will infuriate many paid-up materialists who read it—but that is one of the best compliments that a book of this genre could receive. "—Larry Dossey, Journal of Scientific Exploration,	31(1), pp. 98–110. Transcendent Mind can be purchased from the publisher APA Books, from Amazon.com, from Amazon.ca, or from your favourite bookseller. Enjoy reading it! I wrote this book because I have found that my students can often relate to personal experiences better than they can relate to scientific studies. In this case, these are some of the personal experiences that I have had that, along with empirical evidence from scientific studies, have led me away from materialism toward a transcendent view of reality. In particular, I describe the sequence of dreams that I had over the course of several decades that led me to realize that some of my dreams anticipate future events. In addition, I talk about some of my efforts at distance healing and my experiences with a medium who regularly produces correct information that was not acquired through ordinary means. It is my hope that my experiences can provide an inspiration for others to explore these phenomena for themselves. Gary Schwartz kindly wrote the following blurb for the book: "Sometimes the most convincing and meaningful data come not from the university laboratory but from the laboratory of personal life. Dr. Imants Baruss practices the integration of academic and self-science in an inspiring and compelling manner. This book stunningly illustrates how the trained scientific mind can help reveal the seemingly impossible in everyday life." - Gary E. Schwartz, PhD, Professor of Psychology and Medicine at the University of Arizona, author of THE AFTERLIFE EXPERIMENTS and THE SACRED PROMISE. 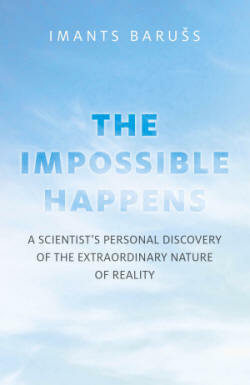 Copies of The Impossible Happens can be obtained from the publisher, John Hunt Publishing, or the usual booksellers. The book is also available on about 17 different e-book platforms, including iTunes. "Science as a Spiritual Practice is a remarkable achievement, of which many of the patriarchs of science, such as Bacon and Newton, would likely approve. They would probably marvel at the banishment of spirituality from science that has occurred in the modern era, and the irrational tenacity with which it remains tabooed. Baruss's courageous, insightful book redresses this development. His perspective makes science more scientific, not less." "Science is now recognizing spiritual change and higher transcendent conscious states. This book is at the cutting edge of neuroscience and spiritual practice. It is essential reading for any scientist seeking consciousness development." 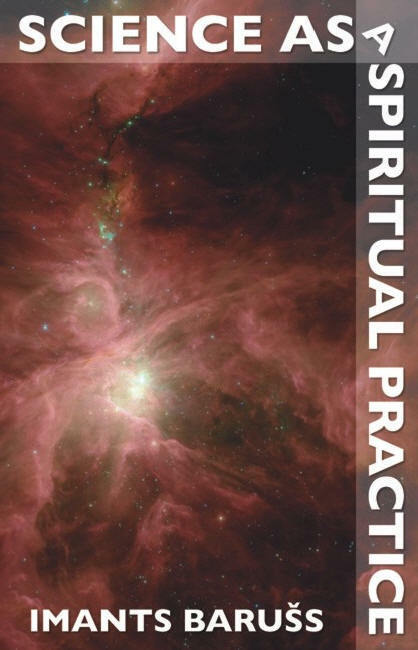 "Science as spiritual practice is a highly thought provoking book and is a must read for any open-minded scientist who is interested in the nature of reality." "The author is a true scientist, and one of the delights of this book is the way in which his scientific curiosity keeps bubbling out to descriptions of surveys carried out under his supervision to investigate aspects of deeper experience . . ."
"There is a mature outlook to the book, an awareness that spirituality can make your life more difficult . . . . There is no programme here, mind, but nor does the book consist of just discussion and chatter. . . . Overall, Science as a Spiritual Practice presents a thought-provoking discussion of the possible rewards and costs of a particular kind of spiritual journey. If you're at an existential crossroads, whatever they look like when they're at home, it could well be a catalyst for change." Science as a Spiritual Practice can be obtained from the publisher, Imprint Academic, or Amazon, Barnes & Noble, or Waterstone's. "[Barušs] describes and critiques the various scientific approaches, all with a combination of brisk research summaries, a narrative sense of how one question leads to another and an engaging, almost conversational style. . . . Though billed as 'An Empirical Analysis for Social Scientists,' this volume should prove useful to anyone seriously interested in research on these subjects and on the questions left for future research." "Alterations of Consciousness is the product of Baruss' keen insights, his focus on the ideas behind research, the many theoretical connections that he successfully makes, and his multifaceted approach to the subject matter. The book is quite interesting and engaging. It can intrigue readers who are looking for an introduction to the topic of consciousness, and still challenge those who have enough background knowledge to disagree or concur with some of Baruss' claims. This is a book that puts readers on a pedestal, gives them the tools to understand a complex subject, and then dares them to think deeply about it. At the end, readers may not always agree with Baruss' view of things, but they will undoubtedly savor the realization that they have learned a great deal about consciousness by reading this book." For more information, see the publisher's web page: APA Books. This book has been taken out of print, although the Kindle version is still available for sale: https://www.amazon.com/Alterations-Consciousness-Empirical-Analysis-Scientists-ebook/dp/B003Q6CX1O/ref=mt_kindle?_encoding=UTF8&me=. "All in all, the book provides enjoyable, enlightening, and thought provoking reading. . . . Throughout, the author proves to be a worthy and mature guide for a journey that contemplates both the spoken and the unspoken, the seen and the unseen, and keeps its sojourners within light's bounds." For more information or to purchase a copy, see the publisher's web page: PUP. "[This book makes] a valuable first contribution to the important project of empirically establishing a typology of views of consciousness." For more information or to purchase a copy, see the publisher's web page: UPA.